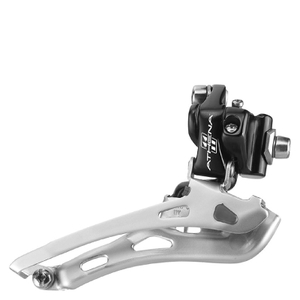 The new Campagnolo Athena 11X Ergopower Levers boast a more ergonomic EPS style downshifting lever thus making the already ergonomic and user friendly Ergopower controls even more so. Complete transmission control from any position is now even more possible thanks to the EPS style layout of the lever on both right and left side controls. Thanks to the lower range of throw required to push the power-shift mechanism of the Veloce transmissions, this lower profile and easy-access shift lever was made possible.